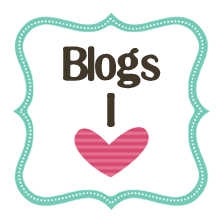 How this little blog has only just reached 5O readers/followers is beyond me, It's such a lovely little blog that I find myself hunting my bloglovin list to find a new post from. I so wish I'd found these guys so much sooner, Their little family is just the cutest! With posts covering all different topics, it's the perfect mix everything you want in one little blog by a mummy with a gorgeous little girl! There's nothing more I love than a down to earth blogger that makes you feel like you've been friends for awhile! Although she doesn't look old enough this wonderful mumma has a little gang of 5! certainly high up on my to meet list.